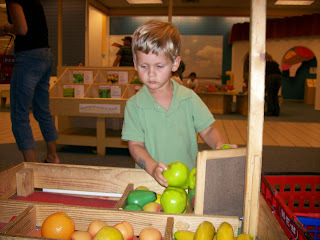 Picking out some fruit at the kid-sized HEB in the children's museum. 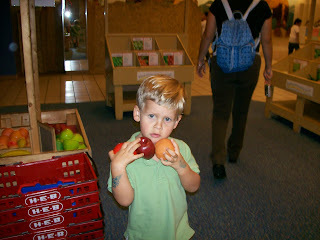 Carrying his fruit to the table. 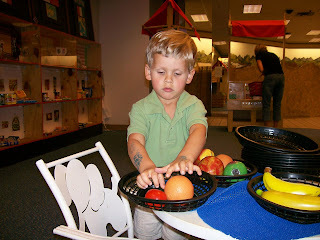 Arranging fruit on the trays for us to eat.